I need to give credit where credit is due and mention the people who made our Christmas beautiful, despite the painful circumstances and the unbearable built up to it. We enjoyed immensely having people over on Christmas day. People like us, with no family living here and nowhere to go to on Christmas day. People who would have been lonely otherwise. We were told we were being kind but in all honesty, it was as helpful for us as it was for our honoured guests. It filled a dreaded day with companionship, laughter and chat. And good food, loads of it, was consumed :-). I love cooking for a crowd and I was so pleased they all enjoyed their meal. What also made our Christmas period enjoyable was surrounding ourselves with nice things, beautiful decorations, soothing music and having the house smelling lovely. It was a treat for the senses and everyone who came to visit us over the holiday period mentioned the beautiful smells in the house. 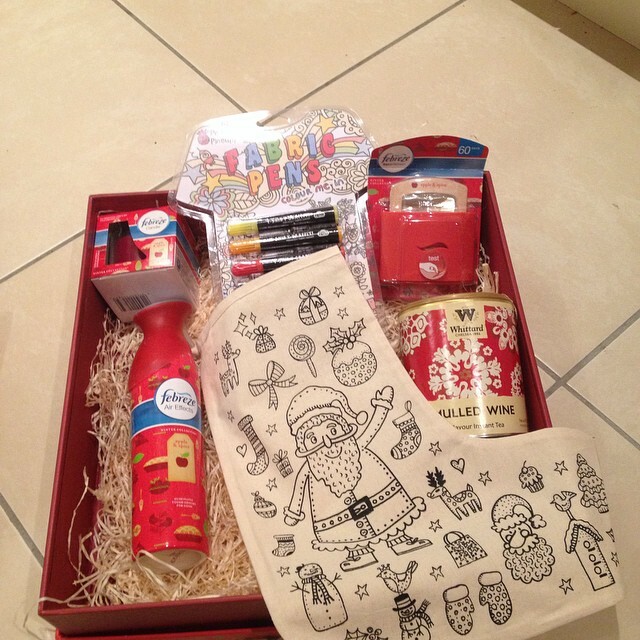 They were indeed so kind that on top of their lovely Apple and Spice-scented aerosol air freshener, scented candle and air freshener, they also sent us some lovely mulled wine scented tea(I know, who would have thought they can mix well? But they do!) 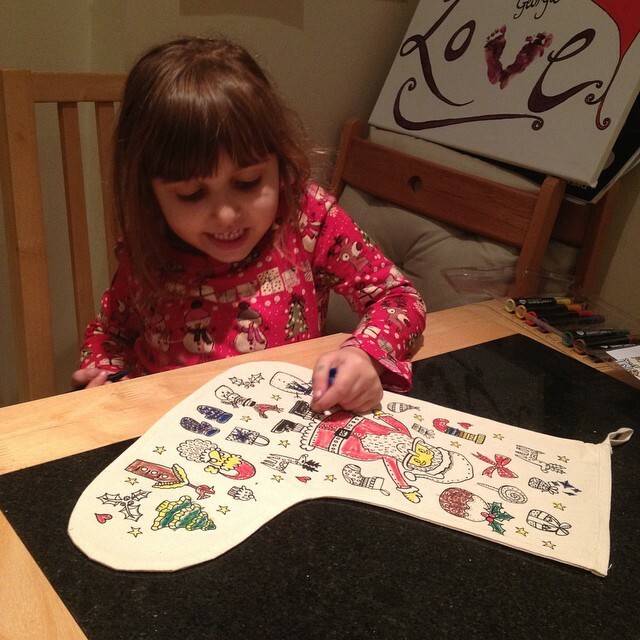 and a stocking for Emma to decorate and keep herself busy with! Disclaimer: We were sent the contents of the above mentioned hamper for testing but the opinions expressed in this post are entirely my own. I have genuinely enjoyed using the products(the candle was put to good use immediately and finished first) and I have actually gone and bought another aerosol as one of our bathroom ones was nearly over. And I bought a Febreze one, once again, because I find the smells pleasant but not overpowering or sickening, like some aerosols can be sometimes. You can buy them anywhere, like Tesco or Sainsbury’s. I bought mine in Home Bargains for £1.49 or so.